Inspiration can be drawn from anywhere in the fight game. Whether it’s family, legacy, financial security, or a more innate force like the appetite for violence, combat athletes are able to harness outside sources to fuel their in-fight battles. For UFC lightweight champion Conor McGregor, who crosses over to boxing on Aug. 26 to challenge undefeated pugilist Floyd Mayweather Jr. live on Showtime pay-per-view (PPV) from Las Vegas, Nevada, inspiration is drawn from his newborn son. 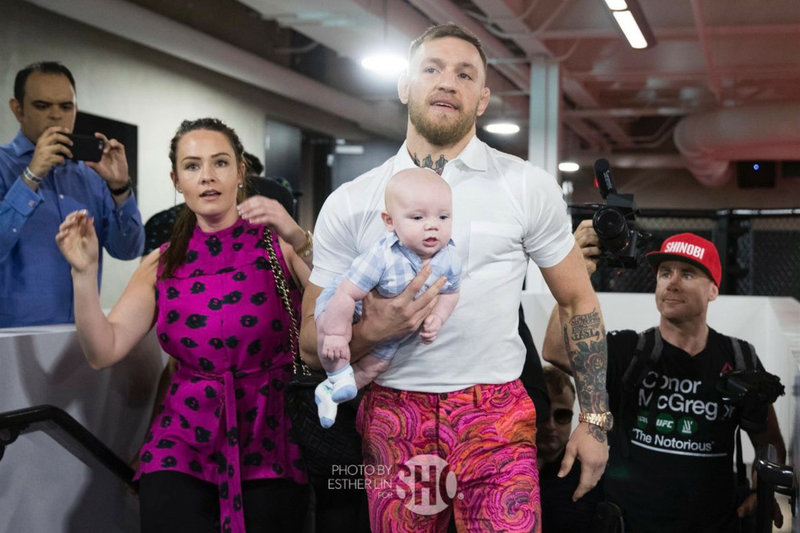 McGregor’s son, Conor Jr., was born just over three months ago. Since then, “Notorious” has locked up a dream boxing match with Mayweather that could potentially earn him close to $100 million. McGregor has banked millions in the past, but nothing like this. It’s going to be a nice chapter in the 29-year-old’s career when he looks back on it with his son. Even though someone as determined as McGregor might not need any additional motivation, “Notorious” seems to be getting it. That doesn’t mean a more inspired Conor McGregor will be able to defeat Floyd Mayweather Jr. on Aug. 26 inside of the boxing ring, but it does means the UFC champion is fighting with even more to gain this time around.